Trading Advantage, a leading trading education firm, is pleased to announce the promotion of Julie Albano Saltzman to Director of Education. In her new role, we know she will further cement us as the leading provider of trading education. Trading Advantage, a leading trading education firm, is pleased to announce the promotion of Julie Albano Saltzman to Director of Education, effective January 12, 2014. 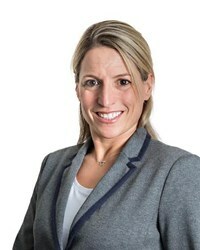 In her new position, Saltzman will launch the world’s largest Online Trading Education Portal in February, lead the instructors to create new strategies and trading techniques, and improve all facets of the student experience. Saltzman joined Trading Advantage in 2011 as the Director of Content Development and has been responsible for expanding the trading education curriculum, producing written and video content for both internal and external vehicles and spearheading the transition to a robust on-demand learning platform. She is the driving force behind Trading Advantage Daily, Trading Advantage’s daily blog featuring market insights and trading tips. Prior to her professional communications career, Saltzman worked on the floor of the Chicago Mercantile Exchange for Banque National de Paris (BNP) from 1991-1998 as both the head of the index futures group and as a proprietary currency options trader. Founded by Larry Levin in 1998, Trading Advantage is a leading trading education firm that offers extensive trading education and courses on futures, options, stocks, day trading, and commodities. The company boasts a professional and experienced instructor team of more than 40 high-caliber industry leaders committed to providing the best trading techniques, strategies, and training. To learn more, please visit http://www.tradingadvantage.com and http://www.tradingadvantage.tv.